 What are the most successful tarot card questions to ask? There are two types of questions – open and closed. Closed questions are those that give a yes or no answer and generally they are not the best choice for a Tarot reading as it limits the amount of information available. Besides Tarot is not intended to answer specific yes or no questions but to be used as a guide to help you make decisions for yourself. Open questions are the most revealing tarot card questions to ask. Open questions are those that bring in discussion. Carefully framing a question will help to focus your attention on the Tarot reading and help to build a more useful session as you gain insight into what actions you need to take after your reading. At the start of a reading, most readers will generally ask for your name and ask what your question is. Occasionally readers may also ask for your date of birth as they may incorporate elements of Astrology or Numerology into their readings. Tarot does not predict the future. We all have free will and choice and the ability to shape our futures. It does however let us imagine the future. It lets us explore and examine various options for the future. It allows us to form our thoughts and ideas so we can make choices and take actions that build our future. Tarot gives us a way to visualise our smoothest route forward and a way to pre-empt our challenges and obstacles, to imagine solutions to problems before they even happen. A Tarot reading is similar to a weather forecast, it’ll tell you what’s happening now and what may lie ahead. But we all know how the weather changes… Tarot gives you a heads up on when to pack your psychic umbrella! We are awaiting for an update of contact details.  Be in the know about real tarot reading. There is a difference in interpreting the cards through psychic insight and referencing meanings from a book. Tarot Cards can support your psychic ability by validating your insights and frequently highlighting hidden issues. Want to learn something that can help you change your life? To receive more clarity and direction from your sitting you can ask these breakthrough questions that will turn any reading from drab to fab.